Players are set down on a 10x10 grid of letters and wild spaces. Each turn a player must make a word in the style of Boggle, then pick up the tiles used. 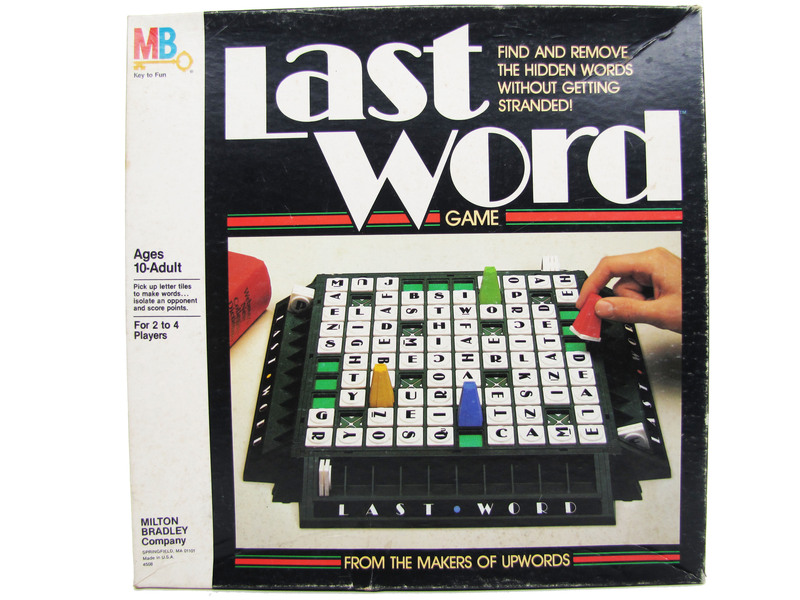 As tiles are removed, scoring opportunities become more sparse, and players are eliminated when they cannot make a legal word. Bonus points are scored for isolating a player on one tile, and points are scored based on the tiles each player picks up. First to fifty points over as many rounds as it takes wins.